IAFF: Local 2122. 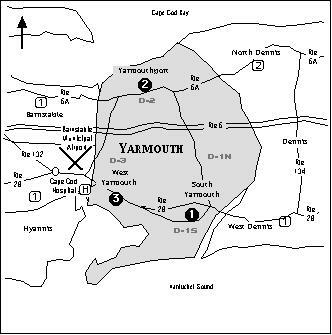 Yarmouth Personnel are civilian. Minimum staffing is (11) per shift. Dispatchers are civilian, affiliated with the Firefighters' Local 2122. Yarmouthfire.com can be accessed to schedule 26F (smoke & CO Detector) inspections for real estate sales or to purchase burning permits. 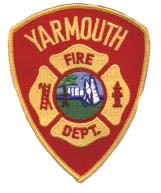 The Yarmouth Fire Department was established in December 1930. A serious fire that destroyed Dr. Hart's house on Main Street (Route 6A) Yarmouthport across from the library on October 13, 1930 caused local citizens to form the department. A December 13, 1930 town meeting authorized $75,000 to develop a water supply for Yarmouthport and $17,000 for two fire engines. The first engine arrived on January 13, 1931 and was stationed in South Yarmouth at Ernie Baker's garage next to Standish Hall on Old Main Street. A siren was placed on the roof of the garage. Gilbert Studley was appointed chief engineman for Company No.1. A fire company of 18 men was organized by February 3rd. Shortly after Company 1 was organized, the second pumper was delivered to the northside. Frederick Stobbart was appointed chief engineman for Company 2. The engine was housed in a garage at Hermon Rogers at the corner of Hallet Street (Route 6a) and Old Church Street. A siren was also placed on the roof of that garage. In 1937, the Yarmouth FD boasted a department of 36 firemen. It also claimed to be the only town of its size with a ladder truck (45 feet in length)...equipped with a 50 foot truss ladder, 35 foot beam ladder, and various roof ladders, as well as first aid equipment, inhalators, and gas masks. 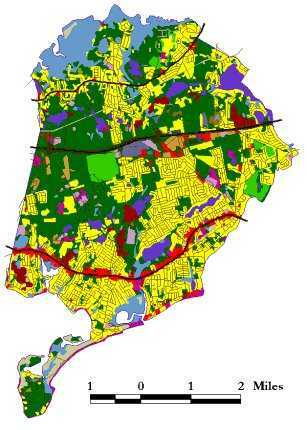 By 1945 the water system had finally extended to South Yarmouth and into West Yarmouth. The northside fire station No.2 was built in 1946. In 1947, Station 3 was built in West Yarmouth In 1950, Oliver Studley was appointed the first Chief of Department for the entire town. In 1952, Chief Dana Whittemore took over the helm and served until 1975. Chief Whittemore was one of the early proponents of a mutual aid system in Barnstable County and the Yarmouth Fire Department served as the Mutual Aid Center for many years. Yarmouth FD took over the ambulance from the Yarmouth Police Department in April 1973. There were 927 EMS calls in the remainder of 1973 as well as 511 fire calls for a total of 1438 runs. Chief Wittenmore retired in 1975. Chief John Clemence served from 1978 to 1983. Chief David Akin served from 1983 until 1995. In 1986 an addition was made on the South Yarmouth Fire Station 1 providing apparatus room and living quarters. In 1989, a major renovation and addition was made to Station 2 in Yarmouthport. In October 1989, Yarmouth staffed Station 2 24 hours a day. In 1993 a Technical Rescue Team was established in Yarmouth trained in collapse, trench, and confined space rescue. In 1995, Dennis Brown became fire chief. With the retirement of Chief Brown, Deputy C. Randall Sherman was promoted to Fire Chief in 2004. Peter Raiskio then served as Deputy Chief. Deputy Raiskio passed away in Feb 2007. Robert Kelleher became Deputy Chief. In January 2008, the new West Yarmouth Fire Station 3 opened on Buck Island Road. The three bay drive through station was a significant improvement for the West Yarmouth area. Unfortunately, budget challenges resulted in the station being closed within its first year. Eventually the station reopened and continues to provide improved service to the West end of town. In 2009, Michael Walker became fire chief. Deputy Chief Robert Kelleher retired in 2010, having served as Acting Chief for a time after Chief Sherman's retirement. .
Phil Simonian was promoted to Deputy Chief in 2010. In 2013 Deputy Phillip Simonian became acting fire chief. He was officially promoted to Fire Chief in 2014. Captain/Insp Jon Sawyer was promoted to Deputy Chief in 2014. 1930 - Oct 13 - A major fire destroyed the home of Dr. Hart on Main Street in Yarmouthport across from the library. Since Yarmouth did not have any fire equipment, apparatus came from as far away as Hyannis, Centerville, Brewster, Harwich, and Falmouth. The Centerville pumper pumped 2 hours. 1985 - Feb 9 - The 130 year old 2 1/2 story Lukes Market at Main Street & Route 28 was destroyed by a 4 alarm fire at 0530 hours. A bitter cold morning hampered efforts of 50 firefighters from several departments. 1988 - Jan 30 - A 3 alarm fire at Huntington Ave damaged a 210 foot long space metal building effecting 5 businesses. 1989 - June 17 - A military helicopter crashed in foggy conditions when it ran out of fuel trying to find Barnstable Airport. It crashed in a wooded area off Tall Pines Drive in Yarmouthport at 0003 hours killing all 6 onboard. 1991 - June 10 - A 10 inch high pressure gas main leak and explosion injured 4 workers on Whites Path. 1995 - Feb 16 - A fast moving fire took the life of an 8 year old boy at 14 Sullivan Road, West Yarmouth at 2337 hours. Yarmouth Fire Radio Call Sign.................KNCS 289.........."Yarmouth Fire"
Yarmouth Police Dispatch ID..................KNPE 241............"Yarmouth Police"
Note: The run cards above are a partial listing provided for quick reference only. Additional coverage assignments for other fire departments were left off for simplicity purposes. These run cards are in effect as of the date posted with them. It is interesting to use the run cards to track and compare the flow of apparatus to fires in various parts of town. It is important to remember that these cards reflect resources available when they were written. Additional apparatus, changes in station assignments, staffing issues, and individual department policies may have changed since these cards were written. This may have an effect on the actual apparatus response to incidents when they occur.